I am in complete support of this project, and a big fan of the DeNardo lab. 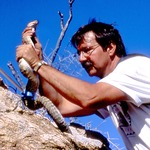 It is thanks to their tireless efforts to understand the inner and outer workings of Gila Monsters that the knowledge of local populations has increased exponentially. I'm also all in to help in any way I can.